The VMAX A1™ offers HD recording up to 480fps at 960H and 720p and 240fps at 1080p resolution, supporting analog signals up to 960H, TVI and Analog High Definition (AHD) signals via analog infrastructure to offer a seamless upgrade to 1080p resolution. The A1™ is available in 4-, 8- and 16- channel configurations, is available with up to 12 Terabytes of internal storage and is backed by DW®’s unbeatable 5 year limited warranty. 1. Go to the VMAX A1™ product page and download Pivot™ software for free. 2. Once installation is complete, launch the software. 3. Enter the admin password for the software itself. The default login information is Administrator with no pw (leave blank). 4. Go to Setup tab and select CMS Setup and select add. 5. Enter the login information from this page. 6. Select model as the VMAX A1 series. 7. Select ok at bottom of window and apply setting. 8. Select the site and select live connect at the top of screen or connect by clicking-and-dragging the layout name into the display area and selecting live or search mode icon. 1. Go into app store and search for DW VMAX and install application for free. 2. Once installation is complete, launch the DW VMAX app. 3. Select the plus symbol at the top (+) and add demo information from this page, and save settings. 4. Once saved, it will take you to the device list page. 5. Select site and select live option at the bottom of the window. VMAX AHD CORE™ is a digital video recorder that offers real-time HD monitoring and recording at 1080p (1920X1080) and up to 60fps. The VMAX AHD CORE uses Analog High Definition (AHD) signals which allow customers to use existing coaxial cable infrastructure while providing an unparalleled image quality up to 1475ft (450m) using RG59 cables. AHD technology leverages the robustness of analog signal infrastructure for a seamless upgrade to the details and clarity of 1080p high definition resolution. The VMAX AHD also offers free DDNS, Event Push notifications via mobile app, 1 Audio Input and Output, 4 Sensor Inputs and 1 Alarm Output, all controlled from the popular VMAX™ user interface. The VMAX AHD CORE™ is available in 4, 8 and 16 channel configurations, is available with up to 6 Terabytes of internal storage and is backed by DW®’s unbeatable 5 year limited warranty. The VMAX 960H Flex model is an advanced H.264 Stand Alone digital video recorder that records real-time at 960H, D1, 2CIF, and CIF Resolutions. This DVR offers the unparalleled image quality of the VMAX960H, at an affordable cost for low and mid-size applications. 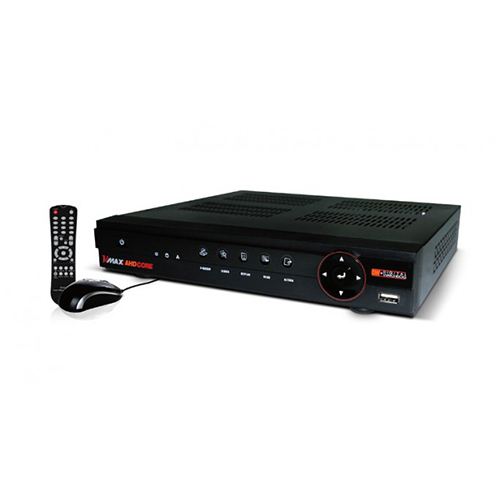 In addition, the DVR offers great features such as Free DDNS, One Touch Backup and Playback, Single Channel Playback in Live, and is supported by our popular mobile application. 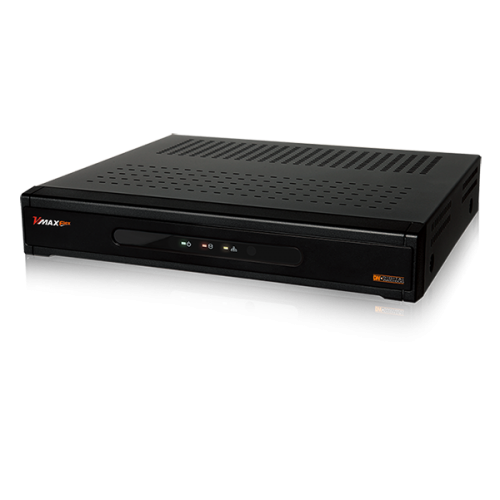 The DVR is available with basic storage from 1 to 6 Terabytes. 1. Go to the VMAX960H Flex™ product page and download Pivot™ software for free. 4. Go to Setup tab and select ‘CMS Setup’ and select ‘add’. 6. Select model as the VMAX960H series. 1. Go into app store and search for ‘DW VMAX’ and install application for free. The VMAX Flex is a replicate of our Maximum Value, Maximum Performance VMAX480 without the front panel buttons for a more flexible cost. The VMAX Flex is available with basic storage from 500 gigabytes to 2 terabytes. It has all the functions of the VMAX480 and can easily be controlled with your included USB mouse or IR Remote Control. 1. Go to the VMAX Flex™ product page and download Pivot™ software for free. 6. Select model as the VMAX series. The VMAX960H CORE™ is an advanced Linux® embedded H.264 DVR that records real-time at 960H Resolution. 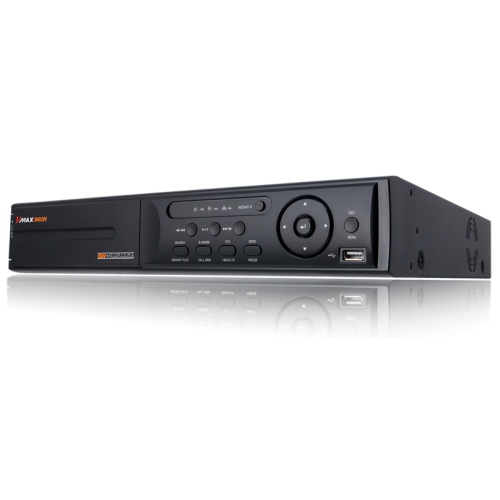 This DVR offers the unparalleled image quality of the VMAX960H, at an affordable cost for small and mid-size applications. In addition, the DVR offers great features such as Free DDNS, True DVR Health Check with E-mail Notifications and is supported by our popular mobile application. The DVR offers 4 BNC channel inputs, with 4 sensor inputs, 1 alarm output and 1 audio input and output. The DVR is available with basic storage up to 12 Terabytes. 1. Go to the VMAX 960H Core™ product page and download Pivot™ software for free. 6. Select model as the VMAX 960H Core series.